Salt Lake City Utah UT 3D rendering design & Graphic Design Services by Capital Exhibits will put your company image over the top. No operation is too large or too small in Salt Lake City, Provo-Orem, West Jordan, UT or any of the surrounding areas in Utah to receive all the best 3D design & graphic art design services Capital Exhibits has to offer. 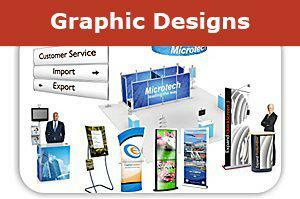 Our print department can provide huge banner printing services for indoor and outdoor use. With two decades in the business of trade show and exhibit design, our experts can help increase your trade show return on investment and overall brand awareness. We understand the pressure to organize all the details of a major event and still create top-notch graphic design images and advertising. Let us take care of that for you! At Capital Exhibits, we pride ourselves on creating a complete package for you that’s on time and on budget. Our affordable 3D rendering design & graphic designers work with you in all stages of development and proofs to create the best graphic design idea for your brand. Our goal is to help you reach your target audience and make a noticeable impact on your bottom line. Like the best professional graphic design firms, we want to learn as much as possible about your business, your needs and your specific goals. By listening and creating this partnership, we can better develop a complete branding design concept that fully represents your company. Do you already have logos or existing graphics that you’d like to include into your design? Capital Exhibits offers more than graphic design outsourcing. We’d love to incorporate your own graphic design ideas to cultivate some truly new designs. We know that often your trade show displays make the first impression to potential customers. Our team of experts knows the value the come from combining incredible exhibition and fair graphic design with an array of custom exhibition displays to create a dynamic presentation of your brand. We also encourage utilizing the latest graphic design trends and techniques to integrate technology into your displays. By blending traditional printed materials with kiosks and monitor stands or even QR codes, we help you create a lasting impact on your potential customers. When searching for the best graphic design trends and techniques, Utah businesses turn to Capital Exhibits. Our clients recognize the value of having outstanding branding design graphics at an affordable price. Don’t waste another minute! 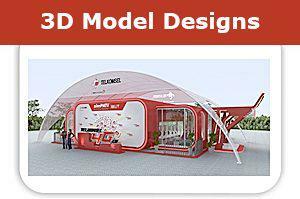 Break away from your competitors with designs from Capital Exhibits today. We make sure you are equipped for your next major event by delivering on time and on budget. For graphic design quotes and rates, call 866-730-3746 to speak directly with a member of our team or send us an email at [email protected].